Bali Dae Jang Geum Korean Restaurant offers all you can eat shabu shabu buffet with vegetables and meats. 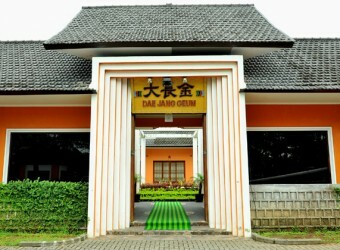 The restaurant is located at Jl. By Pass Ngurah Rai and was opened on April 2010. The restaurant is divided into 3 buildings, A La Carte, building for groups of 10 to 20 people and building for all you can eat shabu shabu. A la carte menu available at reasonable price.